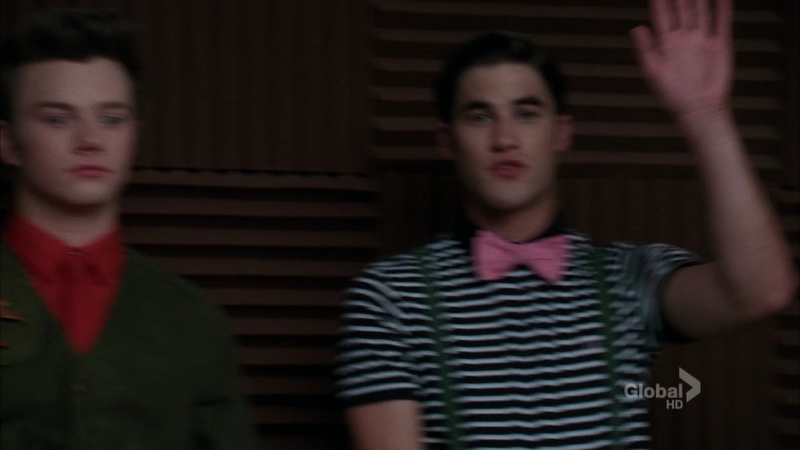 In a (possibly unrelated) conversation at biyuti, we started chatting about Blaine’s makeup this season. Which I briefly touched on here, and meant to return to. She has another take on it that I look forward to seeing. But here’s mine. I did a quick search, and found this on Tumblr. And yeah, that’s what we all thought when we saw it. 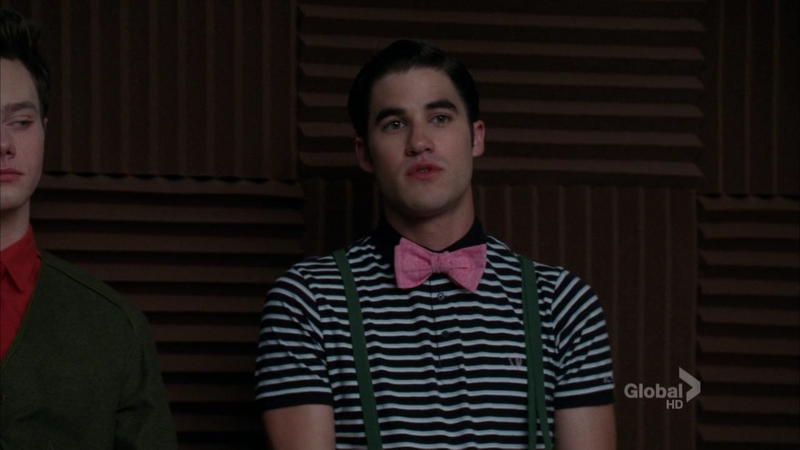 Mostly though, Blaine Anderson has a lot to say, if you’ll only pay attention to what he’s doing. Yeah! Look at how pale (and vaguely pink) his skin is in this pic!